Equinor ASA (EQNR) Holdings Lowered by Raymond James Trust N.A. 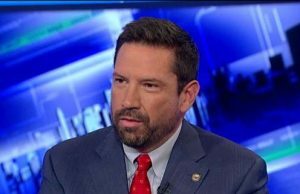 Mayor of Santa Fe Is Face of Sanctuary Cities in the U.S. The Hispanic mayor in the oldest state capital in the nation is now the public face of the country’s sanctuary cities following the presidential election victory by Donald Trump. Last week Javier Gonzales denounced the renewed vows by president-elect Trump to deport millions of undocumented immigrants and his promises made during his campaign to withhold all federal funding from the cities that are deemed sanctuary cities by defying federal immigration authorities. At the time, Gonzales was in New York to attend a mental healthcare conference and was able to score big on national media. New Mexico’s capital of Santa Fe is not the typical sanctuary city in the U.S. The city has a population that is only 70,000 and its communities of immigrants are dwarfed by ones seen in major U.S. cities with policies that are immigrant friendly such as Chicago and Los Angeles. Santa Fe is also known for the unique history it has related to immigration. Dating back to the 1500s to the 1600s during the Spanish conquest, the city is unique in that South American, Central American and Mexican immigration have been part of the history of Santa Fe for a period of more than 400 years, said Gonzales, whose father was also the mayor at one time in Santa Fe. That history remains the source of Santa Fe’s huge pageantry and public pride during its annual re-enactment with use of costumes of the Spanish re-conquest of Santa Fe following the revolt by Native Americans in 1680. Processions depict a rather peaceful, near welcome return of the Spanish, even though there have been increasingly disruptive protests of late based upon the early Native Americans’ suffering. Gonzales when younger participated in the lead role as Don Diego de Varga a conquistador. As the mayor, Gonzales has been busy refereeing the objections in public by the city’s population of Native Americans as well as other who say the re-conquest was dramatically brutal when carried out and today’s festival is both hurtful and offensive. Trump has promised to make it difficult for all cities deemed sanctuary cities through cutting federal funding and taking the cities to court in his attempt to dramatically crack down on the overall population of undocumented immigrants as well as legal immigrants that have broken the law. Nisa Investment Advisors LLC Grows Holdings in Alliance Data Systems Co.